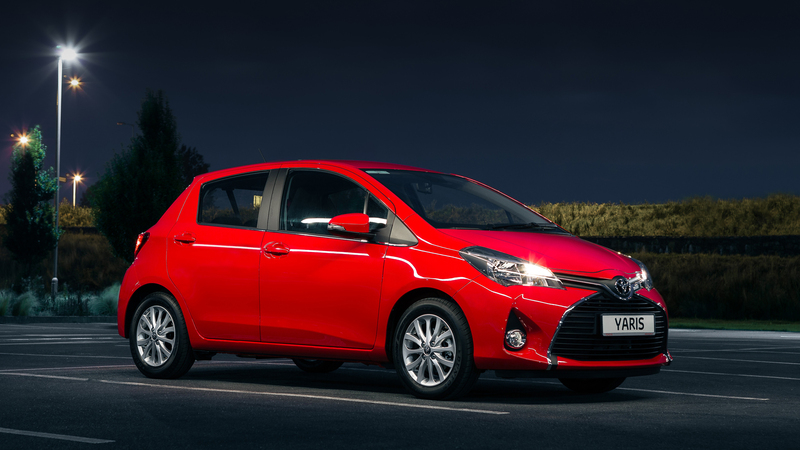 The new-look Yaris, featuring a bold new exterior design, an upgraded interior and improved drivability. The launch of the 2014 Yaris represents an important landmark as this is the first time Toyota Europe has led the development of a new vehicle design. Europe has now been given a leading role in defining the future A, B and C segment cars. The home of the compact car, and a major market for B-segment vehicles, Europe represented the ideal place from which to reimagine the Yaris, Toyota’s star performer of the competitive B-segment. Over 60,000 Yaris have been sold in Ireland since the models launch in 1999. The highly distinctive exterior of the new 2014 Yaris features an even stronger, more dynamic execution of Toyota’s bold, Under Priority frontal design language with Keen Look detailing. To the front, the Yaris features a striking x-shaped grille on the front. In profile, the new Yaris benefits from a new door belt moulding, daytime running lights and a choice of three new, 15” alloy wheels. To the rear, a new bumper design gives the appearance of a broader, lower stance, whilst the integral diffuser strengthens the new Yaris’ road presence with a more sporty, self-confident image. The interior has undergone important upgrades aimed at improving drivability and onboard comfort. The new interior design enhances the feeling of spaciousness in the cabin, improves the sensory quality of the environment; and, combines cleaner design, with increased colour scheme varieties and more sophisticated finishing materials. Fitted as standard in the 2014 Yaris from Luna grade, Toyota Touch® 2 is an upgraded version of Toyota’s touch-screen multimedia system. Via a 7” full colour touch screen interface, it incorporates AM/FM radio, Bluetooth mobile phone connectivity with a music streaming facility and a USB port for the connection of portable music players and compatible smartphones. A rear view camera is also available for manoeuvrability in confined spaces. The new Yaris features comprehensive, customer-driven improvements to its driving comfort and handling with a significant reduction in Noise, Vibration and Harshness (NVH). The new Yaris has been designed with a more rigid upper and lower body structure and improvements to suspension, shock absorption and power steering technology, offering a more comfortable and controlled ride. The 2014 Yaris will be offered with a choice of four powertrains all of which have been extensively renewed for the 2014 Yaris with a 1.0l petrol engine, a 1.33l petrol engine, 1.4l diesel engine and a hybrid which offers CO2 emissions of just 75 g/km and accounts for 12% of current Yaris sales.